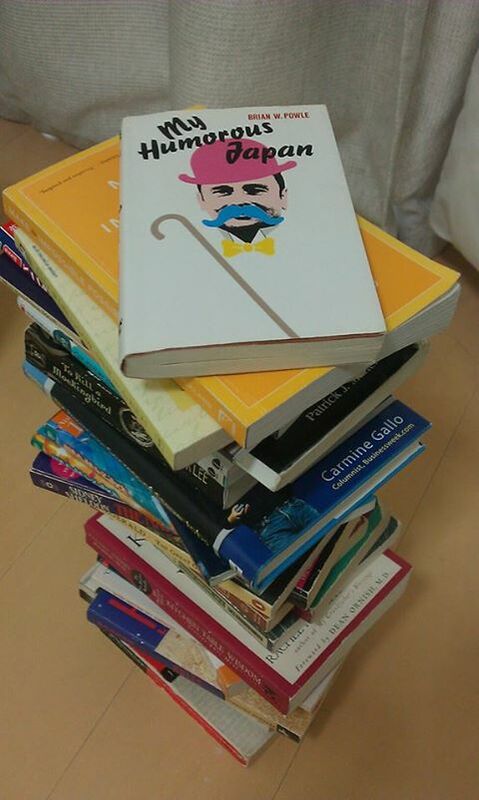 My 30th English book of the year was “My Humorous Japan” by Brian W. Powle. I first read this book ten years ago, and after rereading it, I realize how far I've come since then. First of all, it took me only a couple of days to finish the book this time, although I needed more than a week in those days. Moreover, I found all kinds of punctuation errors committed by the author (not a professional writer), something I had no way of knowing at that time. However, I found his little anecdote about skiing (page 41) to be quite amusing this time, too, and couldn't help but grin on the train (I burst out laughing back then). I’m often asked these days, “Why do you need to read so many English books?” and here is my answer. The more English you read, the more natural sounding and native-like your writing will become. That’s why I have to read at least 50 English books a year.